Alamo Area Alliance of Black School Educators – Enhance and facilitate the education of African American people. WELCOME TO ALAMO AREA ALLIANCE OF BLACK SCHOOL EDUCATORS! 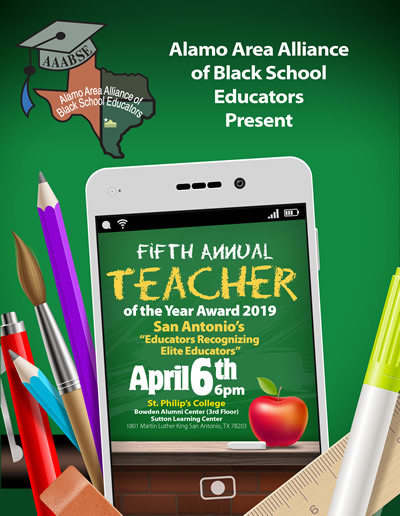 Alamo Area Alliance of Black School Educators is an organization of Educators and those who support education working with Kindergarten through twelfth grade students to enhance their academic performance in pursuit to becoming productive citizens.